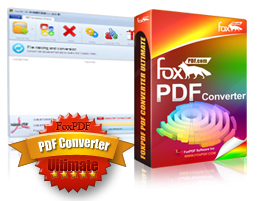 FoxPDF PDF Converter, Convert Docx to PDF, Convert Doc to PDF, Convert XLS to PDF, Word to PDF, Excel to PDF, Image to PDF, AutoCAD to PDF, etc. FoxPDF PDF Converter is a convert Office Word, Excel, PowerPoint, Visio, Works, AutoCAD, CorelDraw, WordPerfect, Image to PDF Format. Featuring a rich program that lets you convert Office Word, Excel, PowerPoint, Visio, Works, AutoCAD, CorelDraw, WordPerfect and Image to PDF Format. Supports over 500+ document formats . Supports converting Microsoft Office Word (DOC, DOCX), Microsoft Office Excel (XLS, XLSX), Microsoft Office PowerPoint (PPT, PPTX), Microsoft Office Visio (VSD), Microsoft Office Works (WDB, WPS, DOCX, XLSX) to PDF. Save time by converting in batches. Multi-core support means faster conversion. Common File Including AutoCAD(DWG, DXF, DWF), CorelDraw(CDR), CorelPresentations(SHW), WordPerfect(WP5, WP6,WPD, WPF), WordStar(WS), DocuWorks(XDW), RTF, TXT, JPG, Bmp add more Common Formats. You can set individual or all of the output PDF open password. PDF Converter is a multilingual software, including English, Chinese, German, French, Italian, Japanese. You Can Convert Word, Excel, Visio, PowerPoint, Works file formats to PDF. Quickly convert Microsoft Office file formats to pdf File Format. Including MicroSoft Word, MicroSoft Excel, MicroSoft Visio, MicroSoft PowerPoint, Microsoft Word (DOC, DOCX), Microsoft Excel (XLS, XLSX), Microsoft PowerPoint (PPT, PPTX), Microsoft Visio (VSD), Microsoft Works (WDB, WPS, DOCX, XLSX) File Formats to PDF. 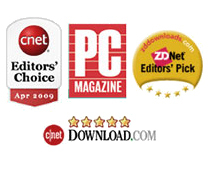 You Can Convert AutoCAD, CorelDraw, CorelPresentations, WordPerfect, WordStar, DocuWorks file formats to PDF.